As said by Frederick Soddy,“Chemistry has been termed by the physicist as the messy part of physics, but that is no reason why the physicists should be permitted to make a mess of chemistry when they invade it”. Chemistry is a subject which investigates the movement of electrons. Because of the diversity of matter, which is mostly composed of different combinations of atoms, chemists often study how atoms of different chemical elements interact to form molecules and how molecules interact with each other. 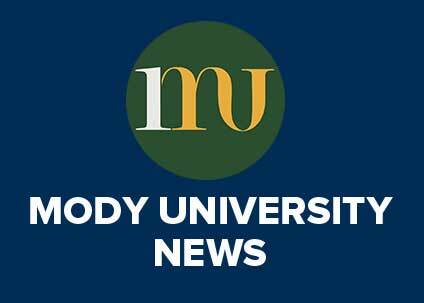 Mody University of Science and Technology always makes sure that education becomes interesting and fun for students, and not a thing to skirmish with. They work hand in hand along with students to make it work for them. 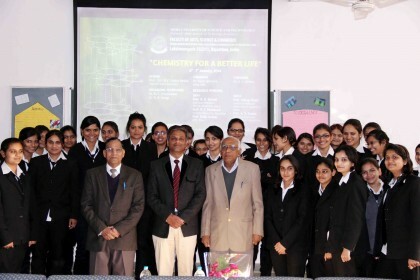 This year, FASC students organized a two day special lecture series on “Chemistry for Better life”. This lecture was held on 6th and 7th January. Eminent stalwarts were a part of this series and delivered beautiful conversations on the topic exploring the visions of Chemistry on human life. The function was inaugurated by Prof. R.T Pardasani, Dean of School of Chemical Sciences and HOD of Chemistry in Central University, Rajasthan. He delivered a valuable lecture on Excitements in Chemistry. Followed by Prof. R.K Bansal, Emeritus Professor, Chemistry department of IIS University, shared his view on historical discoveries in chemistry and medical science that changed human life. 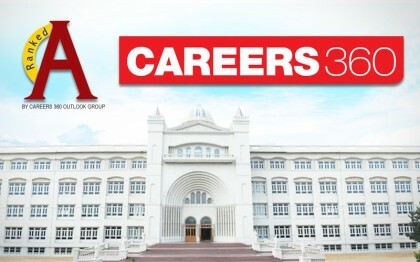 The last speaker of the day was from Birla Institute of Technology and Science (BITS), Pilani, Prof. Dalip Kumar. He spoke on Fascinating Chemistry of Porphyrins, which is a group of organic compounds. Next day of the event started with hearing lectures on interesting topic from the Emeritus professors, Rajasthan University. Prof. K.S Gupta shared his knowledge about environmental chemistry and delivered an excellent lecture on “The Chemistry of Acid rain”, a rain that is unusually acidic, meaning that it possesses elevated levels of hydrogen ions (low pH). It can have harmful effects on plants, aquatic animals and infrastructure. It is caused by emissions of sulfur dioxide and nitrogen oxide, which react with the water molecules in the atmosphere to form precipitation. Prof. Pahup Singh spoke on “Hundred years of Allopathic Medicines” an expression commonly used by homeopaths and proponents of other forms of alternative medicine to refer to mainstream medical use of pharmacologically active agents or physical interventions to treat or suppress symptoms. He went on to explain the entire journey of its discovery. He also mentioned about people who won Nobel Prize in Chemistry. The lectureship concluded with a vote of thanks which came from Dr.Sunil Jakhoria, Dean, FASC. 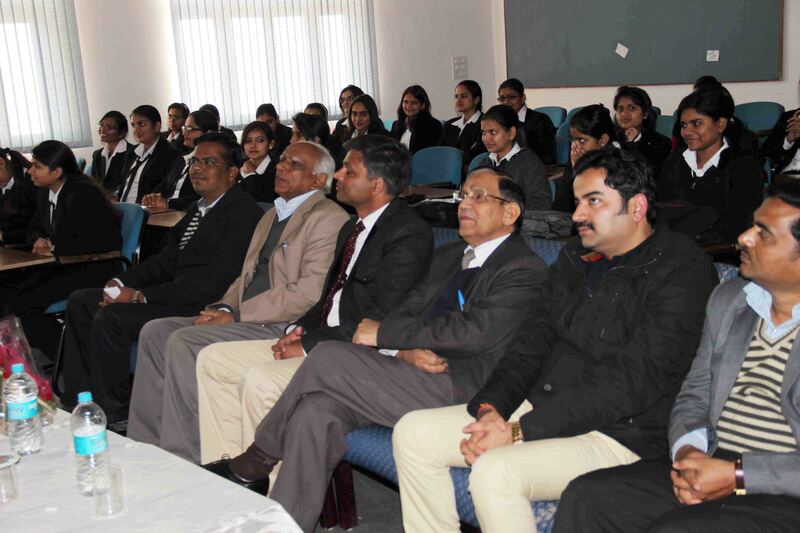 The special lecture series held in MITS, took the opportunity to make studies more captivating for the students.